Happy Friday and welcome to 2015! It’s always hard to get back into the swing of things after a nice holiday break… So we thought we’d keep this post light and share a recap from our recent holiday party. 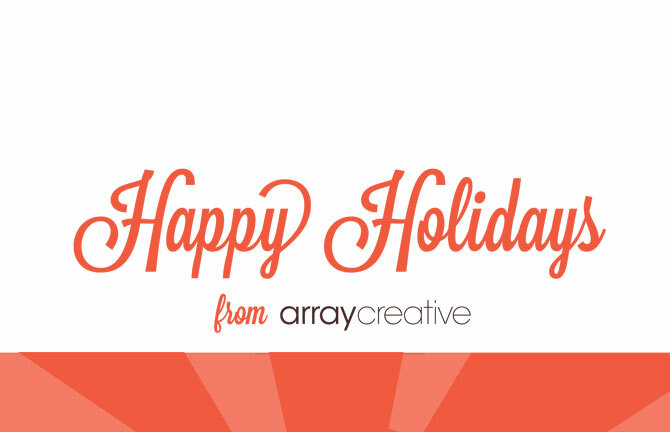 We would also like to take the time thank all of our clients for a wonderful, successful 2014 – without you there is no Array Creative! We’re pretty excited for 2015, because from the looks of our calendars, a lot of great projects are on the horizon! Check our blog often to find out what’s happening at Array, or drop us a line (say hello!) to find out what we can do for you and your brand.